Some time ago the German motorcycle manufacturer BMW Motorrad introduced the figure of their big touring motorcycle which is clad with bagger costume to public. This bike is called BMW Motorrad 'Concept 101'. 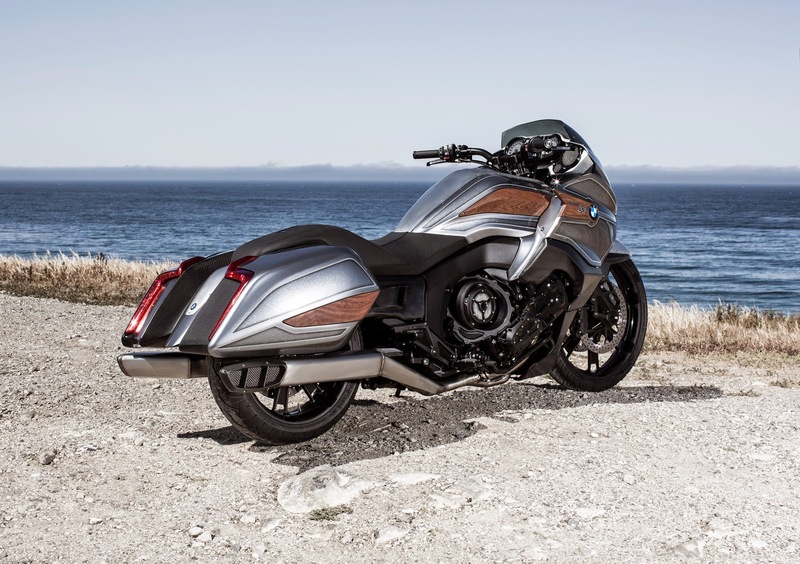 As qouted from Carscoops on Wednesday, May 26, 2015, the number 101 also stands for the place where the bike was created, not far from Highway 101, at the design studios of the BMW Group subsidiary Designworks in Newbury Park, California. This motorcycle display adheres to the motto of 'The Spirit of the Open Road', and built of the basic form of the K1600GT model which is equipped with a six-cylinder engine with a capacity of 1,649 cc. These engine makes the big touring bike could run with very powerful of power and an awesome torque. The impression of an elegant, powerful and luxurious clearly emanating from the Concept 101 is known to get a contribution from the famous bike builder Roland Sands. 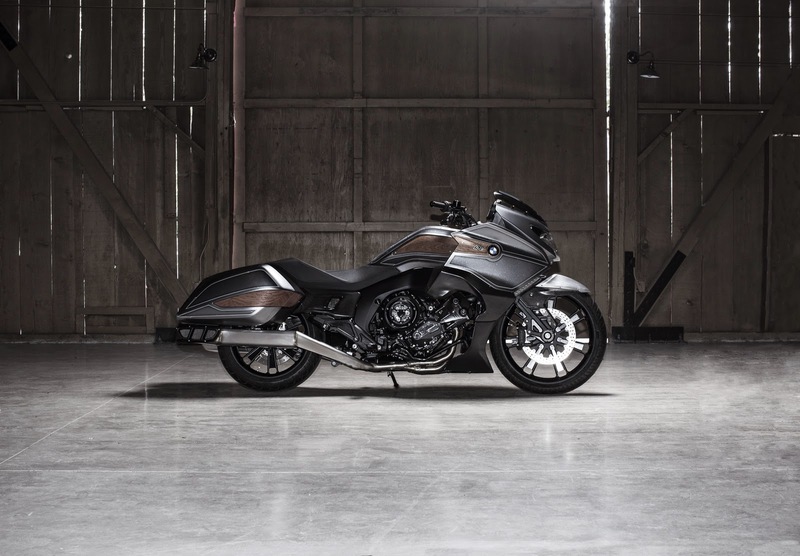 In general, the design of this bike is pure the work of BMW team, and Roland Sands only provide a few custom parts that are exclusively made just for this big motorcycles concept. The bike features tailpipes on both sides, each with three outlets, one for each cylinder. The silver paint surfaces are combined with brushed aluminum, carbon, and dark wood elements. On the seat, the study features fine-grain black leather on the side sections and perforated black leather on the seat area itself, with a brown leather strip separating these two distinct sections. 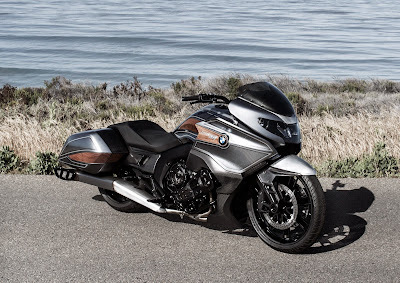 And the bagger costumes that worn by BMW Motorrad's motorcycle is very representative of the rider luxurious style. Just like a luxury car, then a series of ornaments made from carbon fiber combined with wood trim is also seen present at this Concept 101.